During the First World War, 27 officers of the Australian Customs Service served their country of birth, or adoption, in the military forces or in a support capacity. Hugh Gerner Brain was one of them. It was Tuesday morning, July the 13th 1915 and a typical winter’s day in Melbourne, with scattered cloud and cool temperatures. Australia’s campaign at Gallipoli was in its third month and casualties were mounting. The Melbourne newspaper, The Argus, reported in its issue on that day that total Australian casualties were 2298 killed, 8097 wounded and 783 missing. The newspaper also advised that the new minimum height for new recruits was down to five foot two inches, allowing selection from a much larger pool of potential recruits. Imagine, for a moment, a pale, almost sickly young man with a mop of brown hair, neatly combed and with grey eyes peering out from beneath thickish eyebrows. He is only slightly built, perhaps a little under five and half feet in height with a beak-like nose hovering uncertainly in the centre of a pleasant, but plain, face. His quiet and precise manner mistakenly suggests a degree of nervousness as he approaches the recruiting staff who had recently established a depot in downtown Melbourne. This was not the first time he had attempted to enlist, having been previously rejected on physical grounds. On this occasion, however, he would not be turned away. Born on the 3rd of December 1890, Hugh Gerner Brain was in his 25th year as strode into the recruiting depot. A quick medical examination, an oath, a signature or two and he marched out as a new recruit in an Australian army struggling to maintain operational viability. Hugh had attended Armadale State School and, following the award of a scholarship, University High School, a co-educational private school. His education had been interrupted following an accident and his wish to study law was not to be fulfilled. He sat the State public service exam in 1906, commencing employment with Victorian Public Service Commission. In 1913, Hugh transferred to the Commonwealth Public Service and the new Inter-State Commission with the Department of Trade and Customs. Hugh Brain’s abilities received early recognition, being temporarily advanced to “corporal” in early October 1915 as the new 31st Battalion was being formed. The battalion embarked for service overseas on the 5th of November aboard the “Bakara”, and arrived in Suez on the 7th of December. The unit did not proceed to Gallipoli as the evacuation was about to commence. Any disappointment amongst the troops on having missed the action was to be dispelled, however, when the 31st Battalion was decimated in its first action at Fromelle in July 1916. Fortunately for Hugh, however, he had been snatched up by ANZAC HQ. His advanced administrative skills were in high demand and assisted his early advance through the ranks. 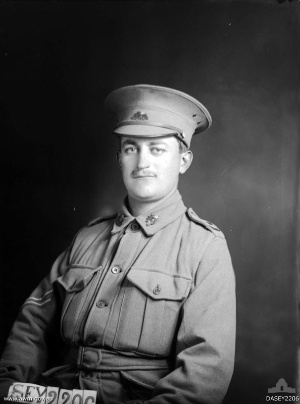 “Posted to 1 Anzac Corps headquarters in March 1916, he rose to warrant officer while serving on the Western Front and was awarded the Meritorious Service Medal (1917). In August 1917 he was commissioned and transferred to A.I.F. Headquarters, London, as deputy assistant adjutant general. Promoted captain in August 1918, he returned to Melbourne in June next year for duty with the business board of administration, Department of Defence. He was appointed M.B.E. (1918) and O.B.E. (1919), and placed on the Reserve of Officers on 30 September 1919. After the war Brain took George Swinburne's advice, left the public service and joined Edward H. Shackell & Co.: the firm administered secretarial and shareholding matters for the Baillieu-engendered Collins House group of companies, based on the Broken Hill silver, lead and zinc resources, and governed from Collins Street. Shackell was the brother-in-law of W. L. Baillieu. With Aubrey Bulte, recruited from the Public Works Department, Brain worked as secretary to the Electrolytic Zinc Co. of Australasia Ltd, Metal Manufactures Ltd, Amalgamated Zinc (de Bavay's) Ltd, Minerals Separation Ltd and Hampden Cloncurry Copper Mines Ltd. On 3 June 1920 at St Mary's Anglican Church, Caulfield, he had married Monica Eva Futcher. In 1929 Brain, Bulte, Victor Bolderman, Ellis Davies and Marsden Blackwell purchased shares in Edward H. Shackell & Co. On Edward's death in 1932, the group assumed control, with Edward's brother Harold as governing director. The company was renamed Secretariat Pty Ltd. At its peak, Secretariat administered the affairs of forty-seven firms, including over thirty gold-mining companies. The goldminers were dispensed with in the late 1930s as the company concentrated on the manufacturing firms, Electrolytic Zinc, Associated Pulp & Paper Mills Ltd, Metal Manufactures and its subsidiaries, Austral Bronze Co. Pty Ltd, Cable Makers Australia Pty Ltd and Austral Standard Cables Pty Ltd.
Members of The Australian Naval Board. During World War II Brain's business talents were put to public use. 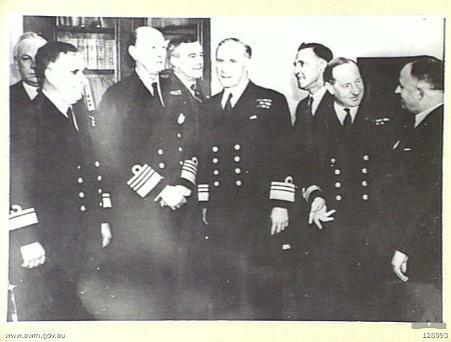 He was deputy-director of hirings, Army Headquarters, Melbourne, honorary assistant-secretary, business matters, Department of Defence, and business member (1941-42 and 1944-46) of the Naval Board; he was also a member of the Naval Charter Rates Board, of the committee establishing war-damage insurance regulations and of the paper industry wartime advisory council. In addition, he performed part-time staff duties with the Volunteer Defence Corps in 1943-46. Secretary of Gold Mines of Australia Ltd, Western Mining Corporation Ltd and Western New South Wales Electric Power Pty Ltd, Brain was a director of Austral Bronze and Cable Makers of Australia, and joint managing director of Metal Manufactures. In 1956-68 he was chairman of the Australasian Temperance & General Mutual Life Assurance Society. By 1960 Bulte, Davies and Blackwell had died. The shares of Secretariat were sold jointly to E.Z., A.P.P.M. and W.M.C. Brain retired from the company that year and established a consultancy in Lonsdale Street. Named Victorian Father of the Year in 1959, Brain gave his £500 award to Melbourne Legacy, an organization with which he was actively associated from 1930 (president 1935). He sat on the Baillieu Education Trust from its foundation in 1935 (chairman 1941-52), and for some thirty years was a member of the Soldiers' Children's Education Board and the advisory board to the Council for Christian Education in Schools. Although not a graduate, he chaired the University of Melbourne's appointments board for twelve years and was a board-member of the summer school of business administration for fourteen; he was, as well, a councillor of Ormond College, a trustee of St Hilda's College and a fund-raiser for International House. For over thirty years he was a member of the Schools' Board and its successor, the Victorian Universities and Schools Examination Board, and chairman of its finance committee. Among his other public positions, Brain was a trustee of the Cairnmillar Institute, a member of the advisory board of the Melbourne Young Women's Christian Association, chairman of the appeal committee of the Melbourne Lord Mayor's Fund for Hospitals and Charities, a member of committees of the Presbyterian Church of Victoria and chairman of the Anzac Fellowship of Women. He had been a special constable during the 1923 police strike and a member of a large, anti-subversion group in Melbourne during Jack Lang's turbulent premiership of New South Wales. In 1951 he was associated with Sir Edmund Herring in 'A Call to the People of Australia'. Brain was for many years a member of the finance committee of the Liberal Party, Victorian branch. In 1963 he was appointed foundation president of the Victorian Institute of Licensed Shorthand Writers. For forty-five years he was honorary secretary of Premises Ltd, the company which backed the Athenaeum Club, of which he was made an honorary life member. He was also 'moneyer' for nearly twenty years of the Beefsteak Club. Brain was an energetic, talented and highly valued servant, rather than a leader. With a sound sense of humour, he was fond of practical jokes. As a hobby, he wrote limericks about hundreds of Legacy members. His honours, including life membership of the Australasian Institute of Mining and Metallurgy, culminated in a knighthood in 1972. Sir Hugh died on 31 December 1976 at Heidelberg and was cremated with Presbyterian forms; his wife, son and two daughters survived him”. Frank Strahan, 'Brain, Sir Hugh Gerner (1890 - 1976)', Australian Dictionary of Biography, Volume 13, Melbourne University Press, 1993, pp 246-247.